The Font of Knowledge: Hola, soy su líder. 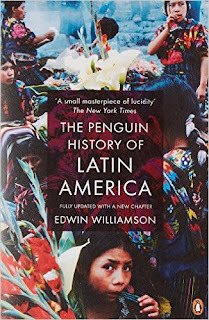 The Penguin History of Latin America. Edwin Williamson, Penguin Books, 1992. Read in Kindle. The book deals with Columbus and his arrival in the islands of the Caribbean and his later visits there and of the problems which he and his followers encountered. It describes the disastrous effects the Spanish conquest had on the local population, particularly in terms of violence, killings and land occupation. Despite some protests from some of the clergy, the behaviour towards the natives was described as scandalous. 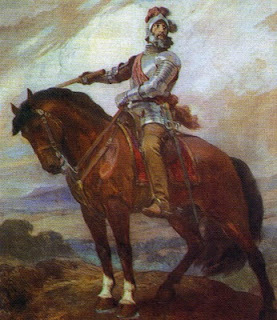 Many of the Spaniards were hard-bitten men whose expectations of wealth were often not achieved and whose behaviour had not been influenced by the traditional discipline of a national army. Nor was Isabella’s demand prohibiting slavery adhered to. In addition, the high mortality among the Indians was greatly increased because of their lack of resistance to smallpox, measles and other exogenous European epidemic diseases. Some of the Spaniards hoped for quick rewards; few received them and there were no rich deposits of gold although the visit to the West was strongly related to its possible wealth in these foreign lands. The Spaniards also suffered badly from the tropical diseases which were foreign to them. Of the 1,500 men who travelled with Columbus in 1493 only 360 survived to 1502. Half of the 2,500 who arrived with Nicolas de Ovando a few years later were dead from ‘’a mysterious disease’’. In pesetas Cortes was worth about six Euro. Later chapters deal with the conquest of the mainland. The Spanish invasion of Mexico was led by Cortes in 1519, seventeen years after Columbus first arrived in the Caribbean. The history of his exploits is somewhat confusing and it is difficult to know how much of the detail was based on reality. The underlying feature was the destruction of the native tribes, of Montezuma and the Aztecs, and other tribes in the Mexican area. It was more than just the brutish exploitation of the Indians; it was the almost total destruction of the local tribes over the next generation or two. Clearly Cortes was the outstanding leader of the early Spanish landing on the mainland. Despite his relatively small number of soldiers, the surprise of the Spanish arrival, their strange equipment, horses and ships, and the mythical powers attributed by the Indians to such strange visitors, the local habitants were certain to yield to the ultimate success of the Spanish. 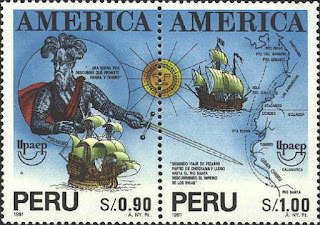 Pizarro was the outstanding leader in the early 1500s who led his company of adventurers into Ecuador and Peru and to the destruction of the Inca tribes. It was in about 1529 that he and Diego de Almagro planned to set out for Peru and the Inca country on the west coast of South America. Pizarro was described as no gentleman nor was Almagro described as any better. 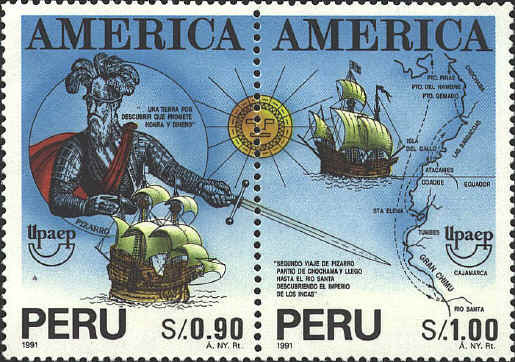 It was they who were the moving force in the conquest of Peru in the 1530s and it was Pizarro who was appointed the Governor and Captain General by the Spanish Crown; and it was he who fought and defeated the Inca tribes, ably assisted by the chronic turmoil which was inherent among the Incas themselves. Inca society was largely destroyed within a generation or two although some of the more wealthy Incas managed to survive the Spanish occupation and gradually merged into the mixed population of Peru and other South American countries. Many histories of the Incas have been written by Spanish and other authors but one must have serious doubts about the veracity of these as writing did not exist among the Incas and related tribes, and accounts were obviously based on tradition and word of mouth. Pizzaro, worthy of his own stamp. Although no formal army was ever sent by Ferdinand, the King of Spain, and his successor to conquer the Western possessions, all the islands and much of the mainland, including the Mexican area, the Central American countries and all of the northern and eastern parts of South America soon came under the control of Spain thanks to the arrival of many shiploads of ambitious Spaniards seeking adventure, gold and land. And the quite numerous local tribes, including the Aztecs and Incas, had little protection from the equipment of the invaders, the ships, the firearms, the horses and the natural energy, brutality and foreign diseases of the invaders. It is no wonder that such a vast and settled area and so many settled races were destroyed within a few generations. The Spanish conquest had been virtually completed by a relatively small group of adventurers by the mid-1500s. 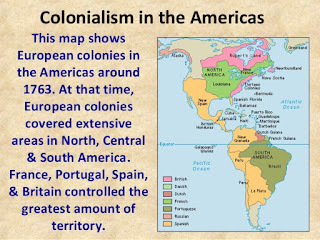 By the mid-century they had extended from Peru to Bolivia and Chile in the south and to Columbia and Venezuela in the north before the steam of the Spanish conquest began to peter out with their slower spread to the more southern countries of Argentina, Uruguay and Paraguay. No permanent Spanish interest was paid to the east of the Andes at or below the Amazon basin where Portugal gained the huge area of Brazil. Nor was there any great interest shown to North America, largely because no discoveries of gold or other sources of wealth were found there and the Spaniards were faced by the constant opposition of the many local tribes. Florida, California, New Mexico, Kansas and a few other southern parts of the current United States were occupied to some extent in the early years. The Spaniards never achieved firm possession of these areas apart from leaving many place names. The Spaniards were dominated later by the arrival of the French, the English, Scots, Irish and other northern Europeans as they spread to the South and West of the United States. 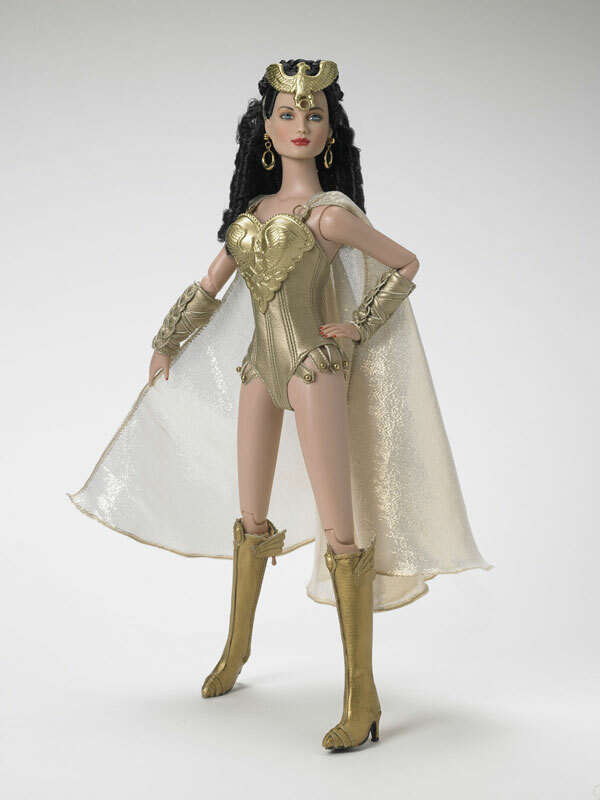 In all the writings about the Spanish conquests of South America the emphasis all the time was seeking gold everywhere. They called it El Dorado. 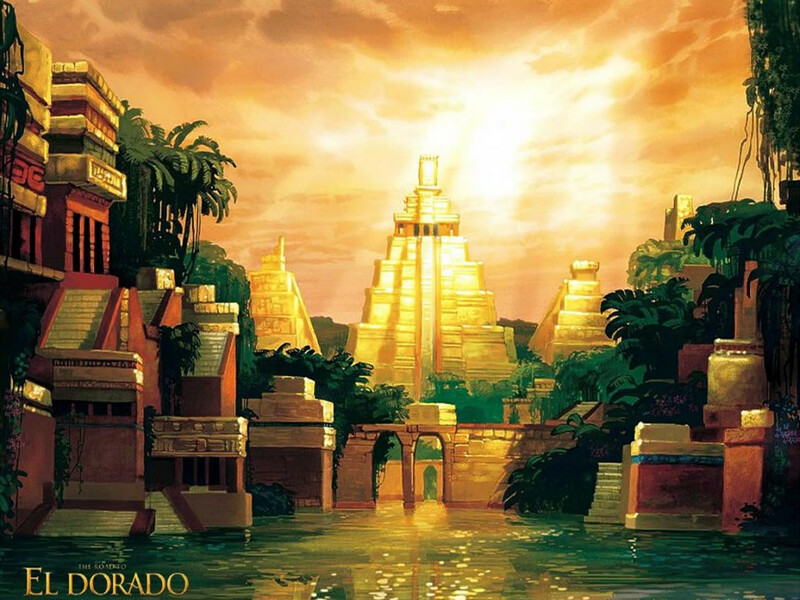 It was the legend of the lost city of gold – El Dorado. It was something that whetted the appetite of the Spanish adventurers ever since the time that they first arrived in the Caribbean. 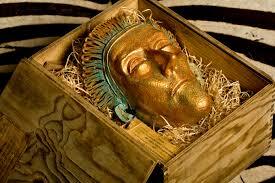 It was gold that turned a race of men into the destroyer of fellow men and of other races of people. Although gold was scarce on the islands, there was sure to be much on the continent. The parish next door was thought to be full of gold and of other sources of fabulous riches. The name Amazon was derived from the name given by the first European ever to travel down the Amazon to the Atlantic – Orellana was his name and he talked about the female warriors and it was he who called them Amazons and led to the origin of the name of the river. Orellana was the first person in history who crossed the Andes from Ecuador. Not through any fault of his own, but because he got lost, he found himself on a tributary of the Amazon. He finished at the Atlantic Ocean on the island of Hispaniola. There were equally fruitless Chimeras of wealth and glory shared by all the Spanish conquerors and which involved them at times with amazing feats of heroic endeavour in search of gold and wealth. In the mid sixteenth century the Spaniard Coronado pressed into the southern states of North America and went up as high as the Mississippi and up as far north as Oklahoma and Kansas. The outstanding feature for the Spaniards who invaded the lower parts of North America was the lack of any evidence of wealth, gold or anything worthwhile. The result was that the North American states was of no great interest to the Spaniards and eventually the centre of North America remained very sparsely populated until the middle of the 19th century when they were taken over by Anglo-Saxon settlers migrating from the Atlantic seaboard, just as South America, east of the Andes was full of rain forest and sun baked savannahs and remained virgin territory until the early 19thh century. The pampas of Argentina and the wastes of Patagonia further south, like the prairies and deserts of North America were largely shunned by Spanish settlers until the 1870s. The book gives a good potted description of the gradual extension of Spanish influence in the West but emphasises that there was a gradual decrease in Spain and Spanish influence in recent years. 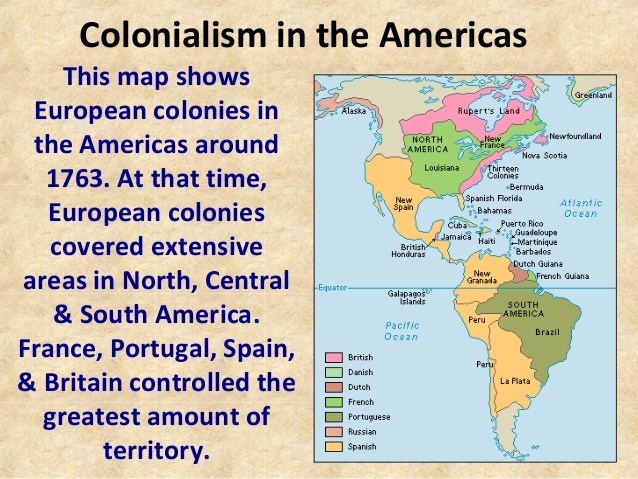 Many parts of South America remained uninhabited and many of the Indians of the sub-continent remained active and populated parts of the countries untouched by the Spaniards, such as Argentina, parts of Chile, Paraguay and the southern parts of the subcontinent. Unlike the United States and Canada, with their adherence to the principles of democracy and the law, the more southern parts of America north of the equator and all the countries of South America have had a long tradition of political instability. I expect that there are more than a few factors in their history which accounts for this. The history of their genesis under the Spanish conquest must have had a profound and long-term effect on their delayed adherence to democracy as we know it in most European countries. One factor was surely the rapacious behaviour of the Spanish adventurers; another the complexity of government of such remote areas by the King and government in Madrid; the very mixed basis of white, Indian and black of diverse nationalities, and possibly the dominance of the Catholic Church with its strong political role in the affairs of the new countries and its conflict with the ‘’superstitious’’ beliefs of the native tribes. I have not read any book or article about the Portuguese occupation of Brazil. This is an odd omission in my history. My review of The Andes and the Amazon refers to many isolated and mostly primitive tribal groups scattered along the river and its tributaries and where one finds only settlements or small towns of mixed basis as one comes closer to the river’s mouth. 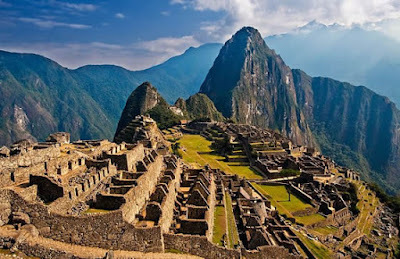 Machu Picchu - the' lost city of the Incas'. This book finishes with a potted description of the pre-Columbian tribes of the Americas. The author divides their history into four periods corresponding to separate ‘’stages of cultural development’’ – Archaic (7000-2500BC), Pre-Classic (2500BC to AD1), Classic (AD1 –1000); Post-Classic (1000-1500). Information based on his views must be speculative but the important message to learn from these speculations is the gross instability of society and the absence of older literature about pre-Spanish days. Today may not be any different. If we are to achieve perfection in this world through the ultimate and permanent achievement of the perfect society, we can hardly be happy about the ups and downs of the tribal society of the Americas nor can we be reassured by the history of the Spanish conquest of the Americas, nor can we hope to achieve perfection through religion. The most convenient religion I can study is Catholicism because of its well documented history of two thousand years. Can we say that some of the horrors created by the Church and by its leaders have led to a better world and to a more rational human society? Can the obsessive grip about possessions, about ‘’standards of living’’, about the worst aspects of globalisation, about acquisitiveness - never denied by our pastors - be rational if this selfish and self-indulgent philosophy is held with total disregard for the welfare of our neighbours and our natural surroundings on which we depend?